Caravel is owned and managed by people who have years of experience in the project management and consulting industries. All our people have worked in a range of commercial and business environments, and bring their collective knowledge and experience to deliver outstanding services to our clients. From an early background in telecommunications engineering and audit work, Pat Thorn has honed his skills during his long career in project management. A born diplomat and strategist, Pat’s input is highly valued for sensitive and complex programmes that require multi-faceted capabilities of delivery, discretion and governance in equal measure. His track record includes the management of the Project Management Office for NZ Police, including monitoring of the Police’s most significant projects. He has carried out Independent Quality Assurance assignments for major government initiatives including the Ministry of Education, the Ministry of Foreign Affairs and Trade, the Ministry of Business, Innovation and Employment, and the Ministry of Justice. He oversees Caravel’s operations from his base in Wellington and plays a leading role in Caravel’s coaching and mentoring programme. Pat holds an honours degree in Electrical Engineering. He has PMP certification and is a PRINCE2 and Managing Successful Programmes practitioner. Pat participates in many forms of outdoor recreation, including skiing, tramping, cycling and sea kayaking. He also plays underwater hockey and is the Treasurer of the Wellington Underwater Hockey Association. Caravel co-founder and Director Warren Hall is a tremendously skilled project management expert with high-level facilitation and commercial negotiation skills. Warren has a superb track record in the management of major programmes and projects and business consultancy. He has particular expertise in the recovery of troubled projects and has successfully managed stalled and other at risk projects through to successful outcomes. His programme and project experience spans organisational change, business integration (mergers, separations), organisational structure and operational model development, and the delivery of national and regional infrastructure. A strategic thinker and highly regarded project leader with a proven record of “making it happen” Warren’s diplomatic manner, communication and people skills have allowed the delivery of a number of complex, political and troubled projects in the private and public sector alike. He holds an honours degree in engineering and prior to founding Caravel in 1990, held senior positions at Pricewaterhouse and Telecom NZ. 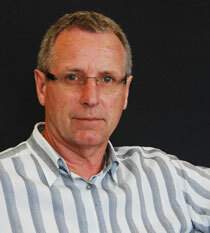 Warren is a member of PMI, a qualified PRINCE 2 practitioner and quality auditor, and is based in Wellington. A sports fan who has been an avid squash player for many years, Warren is also actively involved in sports administration with a long term focus on the development of sports hubs to provide better access for young people to a wider range of sports. Jim McMahon has over 30 years experience in senior and executive positions in technology, marketing, sales and operations roles in the telecommunications and IT sectors. His achievements include the development and launch of networks for voice and data services, a telecommunications company start-up, and the development and marketing of innovative terminal equipment products to telecommunication service providers throughout Australasia and Asia. 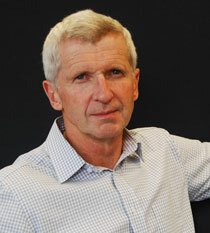 He has previously held senior management roles with Sales Technologies, Open Networks, New T&T Hong Kong and Telecom New Zealand Ltd. Based in Wellington, Jim’s work with Caravel includes guiding investment decisions and business case development, project and programme management, due diligence and Independent Quality Assurance (IQA) assignments. 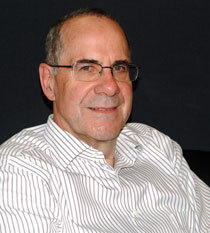 Jim holds Bachelor of Engineering and Master of Business Administration qualifications. He is an accredited Investment Logic Mapping (ILM) facilitator, PRINCE2 Practitioner and Certified Process Professional Champion®. Jim is a keen off-road runner, who enjoys playing piano and improving his proficiency in the German language.